Cold Lake, Alberta – On Oct. 31, 2018 Cold Lake RCMP responded to a home invasion at a residence in Cold Lake north. 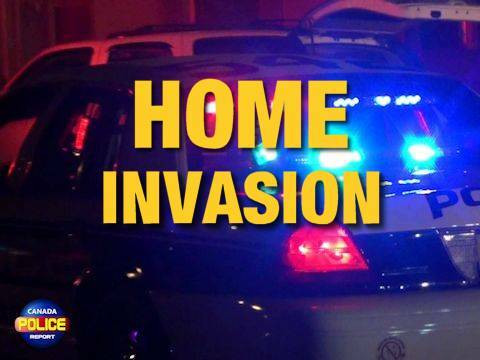 At approximately 2:00 a.m., two armed males forced their way into a residence and a confrontation occurred with two adult male victims inside. The two suspects fled on foot and police located and arrested one of them in the area a short time later. The two victims suffered minor injuries and two firearms were seized in relation to this offence. The investigation determined this was not a random act. He was released with conditions after a judicial hearing and will be appearing in Cold Lake Provincial Court on Nov. 14, 2018. Cold Lake RCMP continue to investigate this incident and are seeking information on the second suspect involved in this offence. If you have information about this incident, please call the Cold Lake RCMP at 780-594-3302 or call your local police. If you want to remain anonymous, you can contact Crime Stoppers by phone at 1-800-222-8477 (TIPS), by internet at www.tipsubmit.com, or by SMS (check your local Crime Stoppers www.crimestoppers.ab.ca for instructions).